Our Year 5 Boys football team had an amazing morning on Frday 24th March at Fulham FC's training ground. They got the chance to visit the grounds the 1st team train on and play football inside the brand new state of the art indoor dome. The festival itself was focused on playing matches and having fun as oppose to winning medals and trophies, this gave our team great encouragement to play football the right way. As a team they improved throughout the festival and managed to finish in 4th place overall. A big well done to Isaac who managed to hit the crossbar during the crossbar challenge and he came away with a medal for himself. 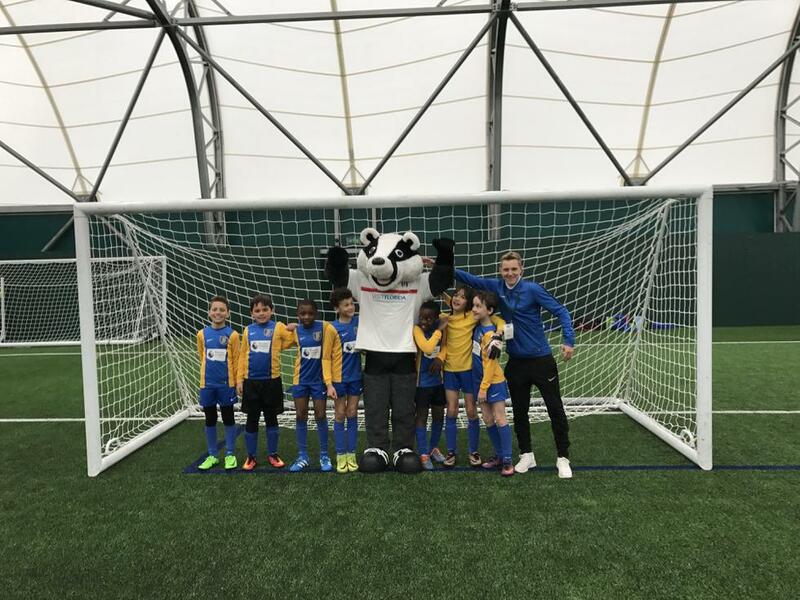 The boys also got the chance to meet Billy the badger (Fulham's mascot) and we enjoyed a photo with him. This was a great experience for the team who where often playing against whole year 6 teams and done very well throughout.